When Dente Trading says that they offer the absolute finest in luxury stone slabs for your bathroom, we mean it. We source our stone collection from around the world to deliver the absolute best stone to you and your bathroom project. From quartz, marble, limestone, and more, we work with you to exceed your desires and needs. Reserve your stone slab today! You have a unique vision for your bathroom, and you will not compromise on quality. That’s when you turn to Dente Trading to find your luxury bathroom stone slab. When you choose to partner with Dente, you get more than a relationship with the luxury stone slab experts; you get the finest, extraordinary slabs of stone sourced from around the world. If you’re curious as to why you ought to choose luxury stone for your bathroom, the answers is class. 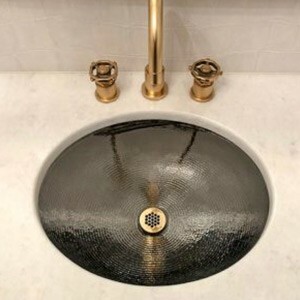 You know that every detail matters, and a unique look and feel in your bathroom communicates luxury to you and others. 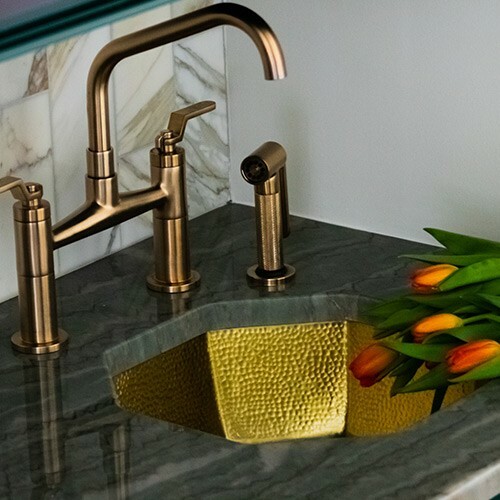 The feeling of being the best starts with how you design and which products you use in your bathroom. 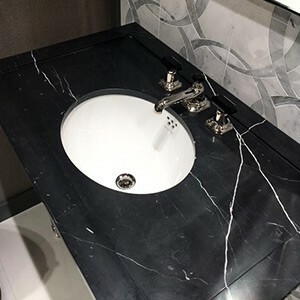 If not the most important reason, status is the priority when it comes to acquiring extraordinary stone for your New York City bathroom. Nothing speaks status more than stone slabs sourced from around the world. Not only do you get unique stone for your project, but you also set yourself apart from anyone else in your social and professional circles. While it’s important that your bathroom looks and feels exorbitant, it must function well, too. 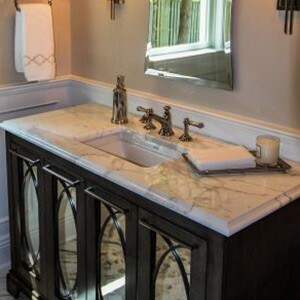 Marble, quartz, limestone, and other materials in our collection all function well as bathroom stone products. Not only do you get a beautiful stone, but you also get stone that will last for years to come. 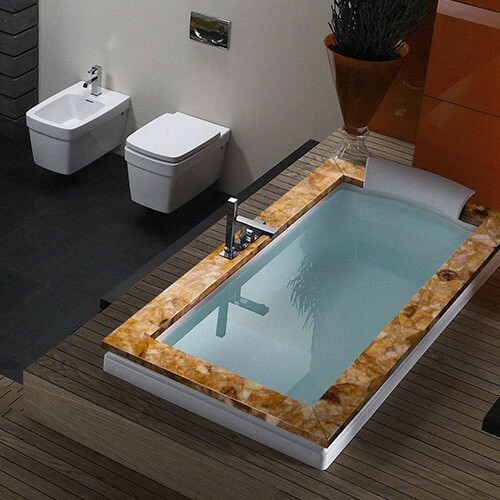 Beyond monetary value, luxury bathroom stone adds emotional value to your life. You will spend nearly a third of your life in your bathroom, so why not feel great about it? Whether you’re taking a quick morning shower after an early run or you’re sliding into a bathtub with a glass of your favorite beverage after a long day, you need to feel good about the space you’re in. 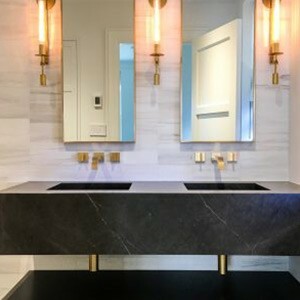 Luxury stone creates an atmosphere of class, sophistication, and exorbinance.